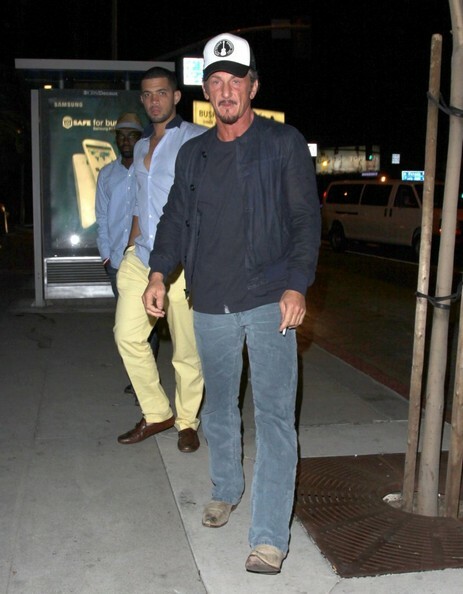 Home » LA Living » Sean Penn puts his angry man reputation in jeopardy! Sean Penn puts his angry man reputation in jeopardy! He’s got a reputation as one of the angriest men in Hollywood so I was pleasantly surprised when I bumped into Sean Penn recently. 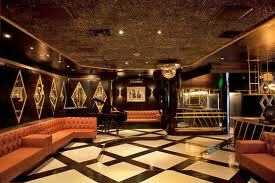 I was in David Arquette’s Bootsy Bellows nightclub on Sunset Boulevard in LA. Some pretty awesome friends managed to hook me up with VIP passes so I could take my sister, who was visiting from Ireland, on a proper Hollywood night out, and we ended up partying in the back room with Sean Penn just a few feet away. Because I interview celebrities for a living, I’m not really one for approaching them when they [and I] are off duty but in order to give my sister a good star spotting story to tell at home, I decided to stop Sean for a chat as he passed by. Luckily for us, we got the open, chatty, friendly Sean we rarely hear about rather than the scary, snarling man we all recognise from the tabloids! It probably helped that I didn’t mention I’m a showbiz journalist, didn’t launch at him brandishing a camera and that my sister is a teacher whose students are interested in the good work he’s doing in Haiti. Sean even introduced us to his friend, who turned out to be the President of Haiti’s son. I only found out later it was the same day his son Hopper launched a shocking racist and homophobic attack on a photographer! Probably wouldn’t have approached him if I’d known! Even though he’s a bona fide A-Lister, chatting to Penn was in no way the highlight of our night. Bootsy Bellows is such a fun club, mixing the weird and wonderful aspects you’d expect from David Arquette (puppets, dancers etc) with great music and a really fun crowd. His co-owners were all milling around and seemed genuinely pleased that people were enjoying their night. It’s easy to see why this has become one of Hollywood’s hotspots after being open for less than a year. And by the way the non VIP section is equally awesome, exact same set up minus the celebs but with the puppets, which range from Barack Obama to Sesame Street’s Oscar the Grouch. I’ll definitely be back! This entry was posted in LA Living and tagged A Lister, Bootsy Bellows, David Arquette, Hopper Penn, Los Angeles, Sean Penn, Sunset Boulevard, tabloids. Bookmark the permalink.